It's that time of year, yes, time for the gathering of mice at BACFest! Unfortunately, Mary and I will not make it this year. What was to be a busy month of flying the Debonair with a vacation to Sanibel Island in Florida, then BACFest in Louisville Kentucky, has instead turned into a, tongue in cheek, stay vacation. OK, honestly more like serving time. Enough of the what if's, let's look back at all the fun we had attending the previous BACFests with a few pictures and comments. Our first BACFest was in Ithaca New York. Our house was crazy busy as we were going through a kitchen remodel and the weather was not playing nice for our departure or return days. We actually gave thought to driving. Pray harder to the weather Gods! The weather did relent and we were able to depart on schedule after dropping our Mastiff (Maggie) off at the boarding kennel. Flight conditions were clear and we made the flight in 1 hour and 40 minutes. We had a great time with our BAC friends. The Farmers Market on lake Cayuga was fun and exploring the goodies at Life's So Sweet Chocolates made the day. 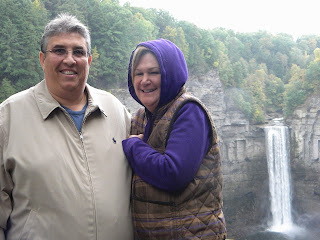 Great memories of fun times and getting a chance to visit Toughannock Falls was a blast. On departure day the weather was not playing so nice. Temps were in the forty's when we left and the freezing level was at eight thousand. It was a fun ride home noting almost two hours of IMC. I broke out just as I passed over the twin bridges and made a nice landing back at home. 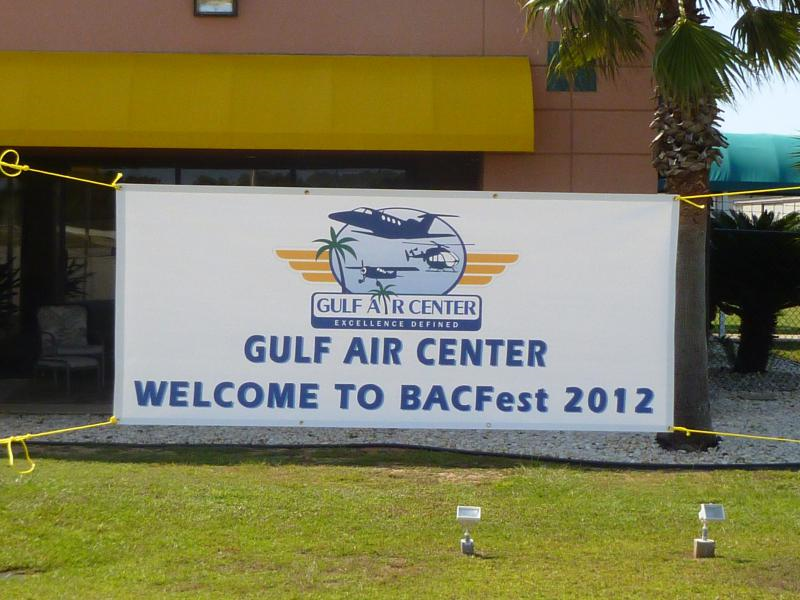 Bacfest 2012, what an adventure! We had a blast making this trip and really taking advantage of the Sundowner, our magic carpet. Our first leg was KILG to KTTA, Raleigh Executive. Three and a half hours of VFR conditions with a quick gas and go to head for stop number two. Our next stop was KPXE in Perry Georgia. This leg was strange, I was given a clearance of just five miles...I still remember the "what the heck" moment as I chugged and plugged. The limited clearance was due to an inbound Cirrus on a practice approach at fifteen hundred feet, I had been cleared to three thousand. As we passed I was cleared for the remainder of my route, as filed. This was a great flight, 3.2 hours of smooth as could be with us enjoying the tunes through XM. Our last leg was for KJKA, Gulf Shores. This leg we saw the biggest cloud build ups EVER! It reminded us of driving through NYC and all the tall buildings. We dodged and weaved our way finally arriving at Gulf Shores. This BACFest was all about beach time. Mary and I spent our time on the beach and in the water. The ride home was another long day in the saddle. I monitored wx along our route and when I was closing in on our first stop, Tullahoma KTHA, I made the decision to divert to Smyrna, KMQY. Leg one was 3.6 hours. 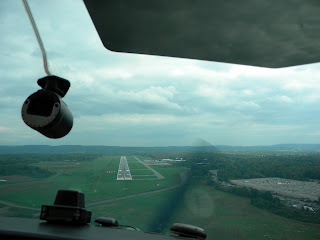 We topped off our fuel and made a quick turn around for the next stop KCRW, Yeager Airport in Charleston, WV. This leg was 2.8 hours. Our last leg was busy with altitude changes and hand-offs for traffic. We also had to dodge a few build ups. It was a welcome sight seeing the twin bridges as we arrived home with a beautiful sunset view. After the Gulf Shores trip we were ready to stretch our wings, this was going to be the longest trip to date in 08Romeo. Mary and I had big plans. 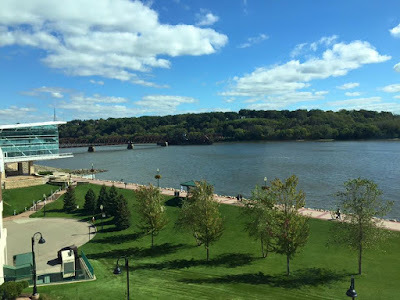 We wanted to fly to Dubuque Iowa, then while that far west we wanted to visit Mt Rushmore. The trip gets better, after Rapid City we pointed to Kansas City to visit our friends before finally point 08Romeo for home. Great memories that will last a life time! Our first leg was scheduled for KCDI, Cambridge Ohio. 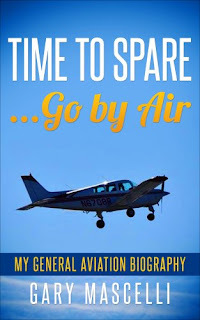 The winds had changed and I would be dealing with headwinds and IMC conditions. 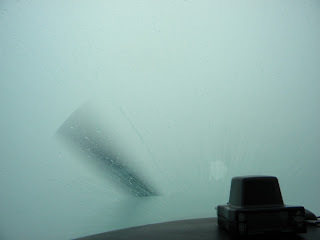 When I launched off runway one-four at Ocean City I did feel anxious climbing out, right up until we entered the clag. Once on the instruments it was all business and everything felt natural. Our next leg was to KVPZ, Valparaiso, Indiana. 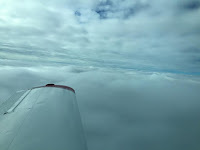 This was a smooth flight VFR conditions and ended with a nice landing. We spent the night and had a great dinner at Kelseys. Thursday morning, October 1st had us departing Valparaiso for Dubuque. It was a smooth fast flight to KDBQ. We had a beautiful waterfront view from our room at the Grand Harbor Resort overlooking the Mississippi River. 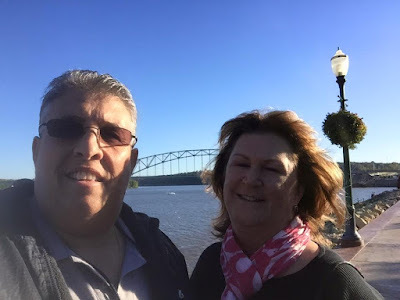 Mary and I enjoy some us time walking the riverfront. 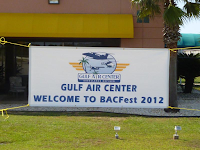 This BACFest had excellent workshops for the board and our member meeting along with maintenance clinics. We all enjoyed a riverboat cruise for dinner to close out the events. On Sunday we continued west for Rapid City SD and Mt. Rushmore. BacFest 2017, what an adventure. We had just returned home from Sint Maarten on September 2nd, ahead of Hurricane Irma slamming the islands. With the house and pets back to normal we were once again ready to travel. The plan was to fly to New Bedford, MA but weather had other ideas. Hurricane Jose was terrorizing the east coast and of course continued on ahead of us to the North East. We had great plans of visiting Mike B and his wife Kim along with our friends Adam and Jeanine and their newborn son Declan. We were also looking forward to catching up with family. I waited out the weather and we decided that if we were going it was going to be by ground transportation. And so it goes, the pilot and his bride are driving to BACFest. The couple of hour flight was now an eight hour drive. Ughhh. We had fun with our BAC friends as we explored Thames Street and a few museums. The annual banquet was excellent and we had a blast. Mary and I are still recovering here at home, but this week our hearts our with our BAC family as they gather in Louisville Kentucky for BACFest 2018. I will be tracking multiple flights and watching Hurricane Florence as she moves towards the east coast. It's so fun to look back on all the fun memories. That's one of the reasons I blog. To document those good times when we get too old to continue this. I'm not sure 8f Florence is going to mess up our plans or not. Just kind of have to wait and see. Depends on how much rain she's going to dump inland. Still praying for your recovery. Pass along a belated happy birthday to Jim! I can't tewll you how many times Mary and went back to the blog to look up where we stayed or ate dinner during our travels. It helps to write things down. Besides, now and then I like to look back and read about our past adventures with my bride, it always makes me smile.